A very big thanks to the track and the local hospitality for giving our team, as well as the other Kawartha drivers, some compensation for our travels. After the race was called the track promotor refunded all of the Kawartha teams FULLY. As well, our team had made reservations at a local inn in case of a rain date. We had already checked in earlier in the day but after hearing about the cancellation the owner offered us, again, A FULL REFUND. I thought I was dreaming. FYI the inn is The Barons Motor Inn in Carleton Place. We will definately be staying there when we go to CCS later in the year. BTW I think there were 12 or so LM on hand. The make up of August 10th makes it a double header weekend as the Castrol ACT event is on the 9th. Hope some of them stay for the 10th. What about the Thunder 50 lap? 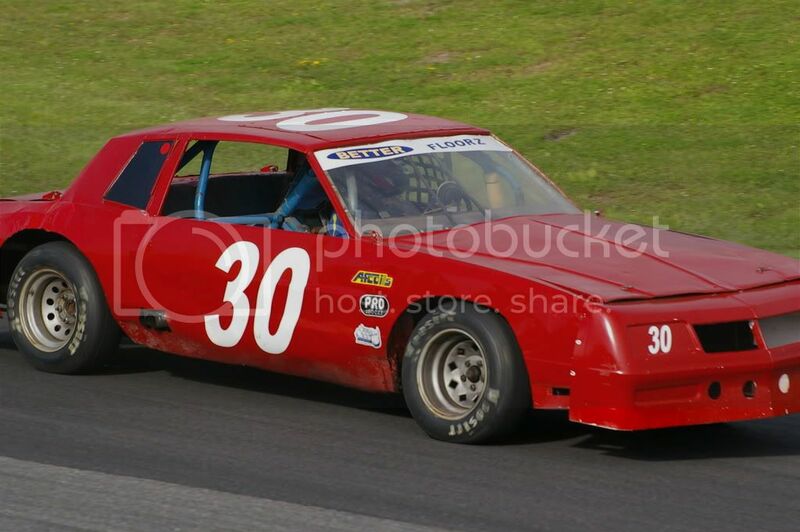 Called Arnie at around 10, he said it was still a go... My car was crashed from Friday at Kawartha so I just called hopeing it would be the Sunday rain date..
Good news slapdown it will allow you's the time you need to fix the issue completely from Friday night at Kawartha!!! See everyone at the track on Friday. and I was about 20 minutes from the track and thought I made the wrong decision by staying where I was and doing some plumbing. I thought it was a go as the radar had cleared about 4pm and at around 6 the sun had the nerve to come out for a bit. I had called the track about 4 thinking that if the heats were still under way I'd still go out but I got no answer. I see the forecast does call for more rain sunday afternoon but looks like we can go fishing in the morning. slapdown....how many kawartha cars went to Capital city? was there any practice? The four I mentioned earlier ( 81, 84, 71, 9 ). Also the 88 of Mitchell but that's an Ottawa car anyway. Mitchell wasn't driving though. Only thing to see the track was the tow trucks drying for about 15 minutes. And 38racing, yeh, it was cruel going home with the sun shining.